When we try new trends, we like to go for it. We wanted a floral pattern for our rug but not the small, quaint kind. We went large - courtesy of Swedish designer Petra Borner. Petra designed this collection with bold, abstract patterns - that’s her signature style. She created a floral pattern and zoomed right into it, so that every detail is magnified. 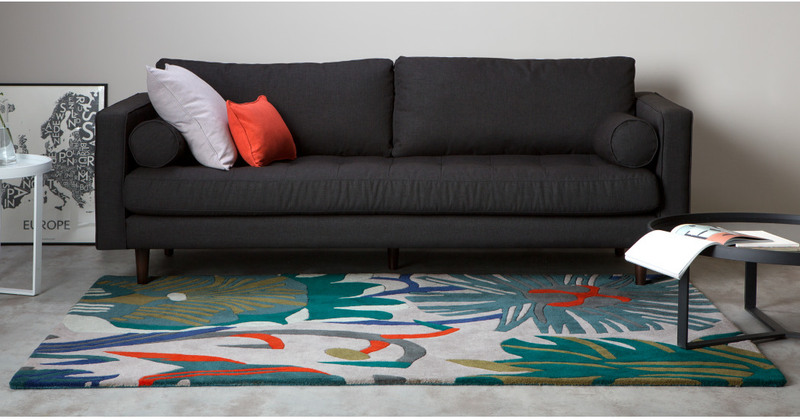 This rug was woven with a New Zealand wool blend - specifically chosen because it carries those vibrant tones so beautifully. The pattern was then hand-carved by our manufacturers in India.